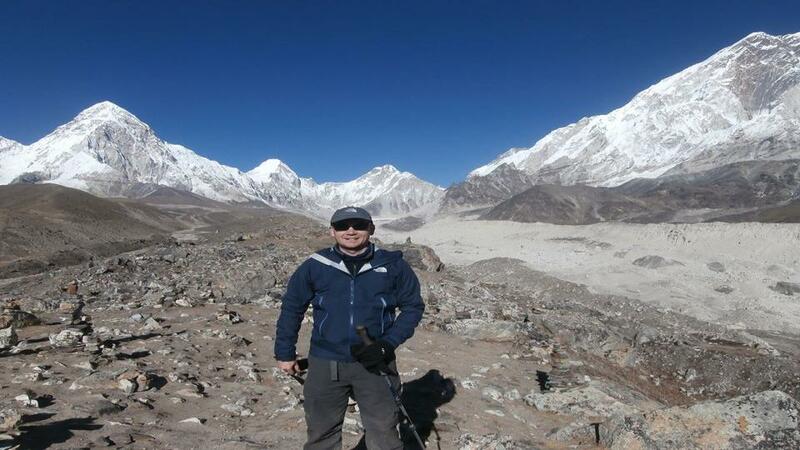 The Everest Base Camp Trek is an outstanding trip to the bosom of the highest mountain in the world. 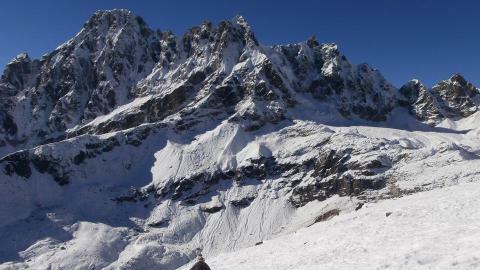 Also popular is the peak near base camp; Kalapathar. Tenzing Norgay Sherpa and Edmund Hillary successfully summited Mount Everest for the first time in 1953. Ever since people have come to this region to trek. From this trail you can see some of the highest peaks in the world and when you get truly high up the panoramas in this area are like nothing else on Earth. It is one of the most renowned trekking routes in the world, with rare flora and fauna along the way. Trekking to the Everest Base Camp heads off from Lukla, after flying from Kathmandu for 30 minutes. Following the Ridge of the Dudh Koshi River, you enter into Sagarmatha National Park, which covers some of the highest altitudes in the the world. The Namche Bazaar is the gateway into the Khumbu region. It is a beautiful Himalayan Sherpa settlement and also a busy market place. The hike past monasteries and through these communities is a chance to bring trekkers close to local traditions. The views of famous peaks like Mt. Everest, Nuptse, Ama Dablam and Lhotse as well as the Khumbu Glaciers are incredible throughout this trek. Tenboche is a religious place with a sacred and famous monastery located in the high Himalayan region of Khumbu. Several Buddhist followers pay their homage every year in this place. The walk continues to Dingboche, Lobuche and Gorakhashep with a final early morning push to Base camp and Kalapathar to see the sunrise over the roof of the world. The alpine Oak forests dotted with Daphne flowers and rhododendron covered slopes are truly exquisite. A combination of natural beauty and Sherpa culture, the spectacular trip to the Everest Base Camp will be truly unforgettable. 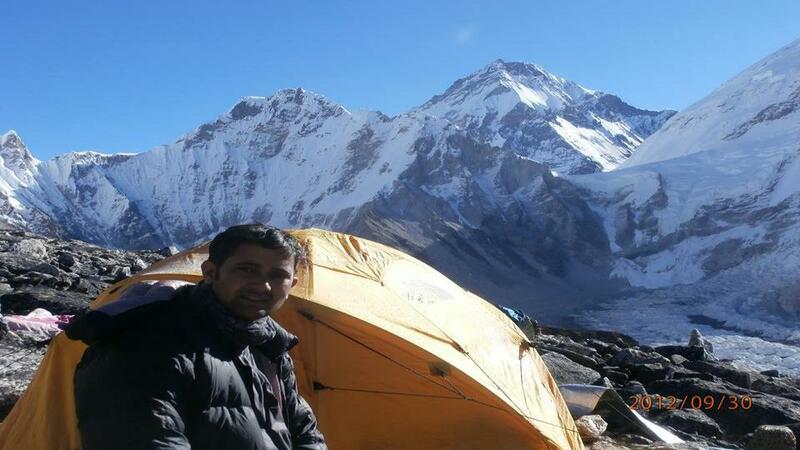 Trekkers acclimatisation at altitude will be managed carefully throughout the trek. 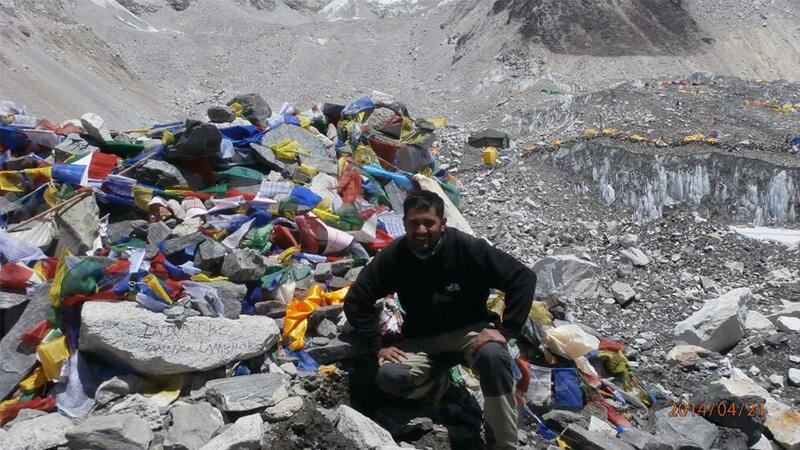 The total ascent exceeds 3000m to the highest point Kalapatthar at 5545m elevation. Spring and autumn are the best seasons for the the Everest Base Camp trek due to the unpredictable nature of the weather and chance to get the best views. 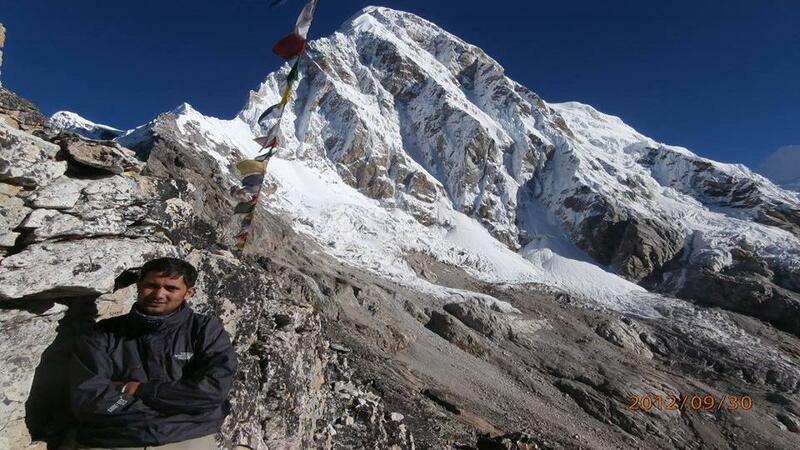 Exciting trekking in the Khumbu region. Sagarmatha National Park, flora and fauna. Scenic flight to Lukla (one of the world's highest airports). Day 12: Namche Bazaar to Lukla. Day 14: Rest Day and Shopping in Kathmandu. 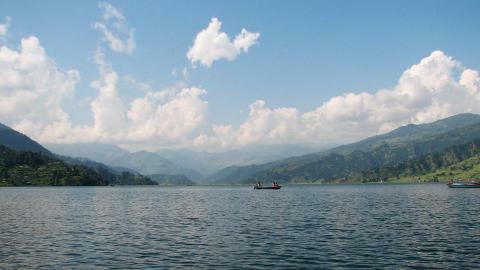 Namaste and welcome to the Himalayan country of Nepal. Our company’s representative receives you at the international airport in Kathmandu. Then, transfer to the hotel and rest. Walk around the local area in the evening. O/N at Hotel. After breakfast, we set off for the Kathmandu city sightseeing tour. 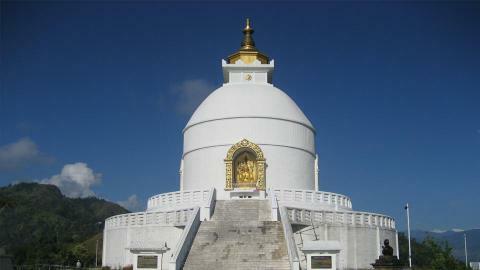 We visit the famous Hindus and Buddhists’ monuments that are also enlisted as UNESCO world heritage sites. They are Pashupatinath (the great pilgrimage site for Hindus), Bouddhanath (Buddhists’ Stupa), Swoyambhunath (Buddhists’ Stupa) and Kathmandu Durbar Square (where the living goddess lives). Back to the hotel and prepare for the trek. O/N at Hotel. Now we march off to the Sherpa Village-Namche Bazaar. It is the gateway of the Khumbu region and a very busy place. The trail enters into the Sagarmatha National Park from Jorsalle. It is a fantastic walk from here place through the rhododendron flowers and blue pine forest. O/N at Lodge. Day 05: Rest and acclimatisation day at Namche Bazaar. It is a day of acclimatisation. After breakfast, we set off to visit the surrounding area and landscape. 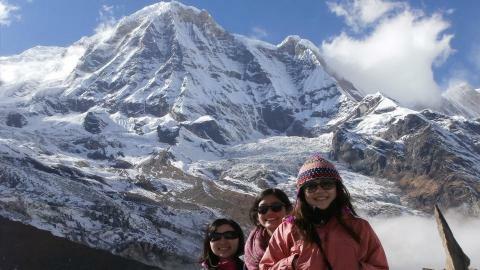 On our hike, we reach the Everest View Hotel and see the dramatic view of Mt. 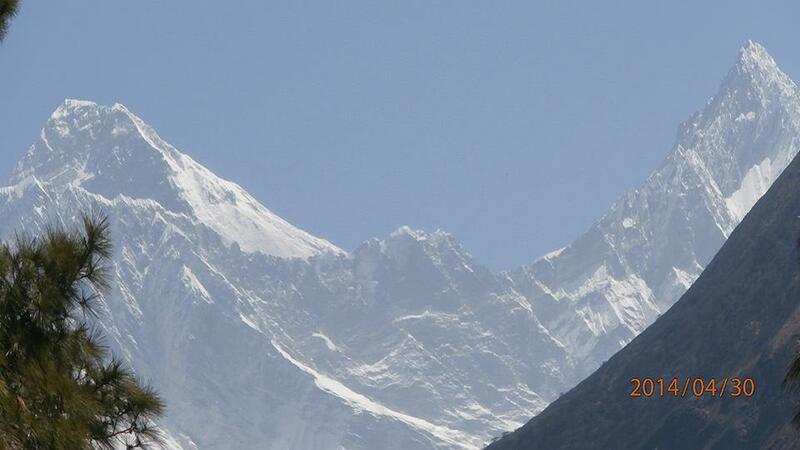 Everest, Ama Dablam and Lhotse, the majestic Khumbu peaks. We will then return to Namche Bazaar. O/N at Lodge. Day 06: Namche Bazaar to Tengboche (3867m): 5-6 hrs. After breakfast, we walk to the Tengboche, our final destination for the day. Following the ridge of the Dudh Koshi River and viewing some incredible panoramas, we enjoy our trekking now surrounded by towering mountains. After a 5-6 hours gradual walk, we arrive at Tengboche. You can explore the monastery during the late afternoon. O/N at Lodge. We get up early today. The view of the Tengboche monastery is outstanding. Then we descend to the River through the forest. Crossing the stream, we walk through the rugged trail. 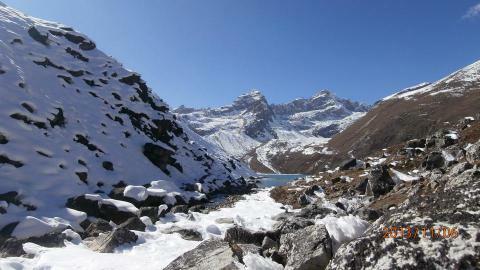 Crossing the Pangboche village, we walk up gradually towards the Pheriche. It has got some basic facilities. O/N at Lodge. After breakfast, following the main trail through the River side, we reach Dugla. Crossing the stream, we walk on the Khumbu Glacier. We then continue our walk on the rugged landscape. We pass a memorial dedicated to those who have died in the region due to altitude sickness or accident. Enjoying the white peaked Mountains, we reach Lobuche. O/N at Lodge. Today, we reach to the Everest Base Camp via Gorakshep after a long walk. 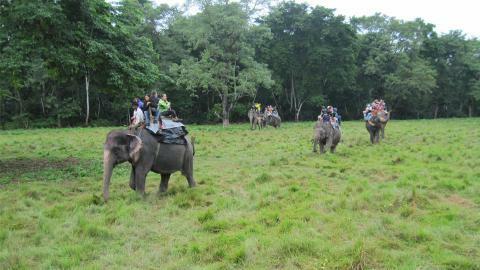 After taking some photographs, we trek down to our campsite at the Gorakshep. Of course, the views are incredible. 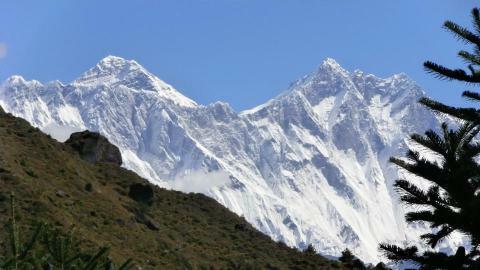 We can see the climbers high on the flanks of Everest waiting for the appropriate weather to attempt the summit. We take a rest and enjoy a hot meal at Gorakshep. O/N at Lodge. In the early morning, we hike up to the Kalapatthar to view the sunrise over Mt. Everest. The climb winds along a tough rocky trail, but the reward is breathtaking as the morning light spills over the mountains. From here we can see Mt. Everest, Khumbutse, Changtse, Nuptse and other surrounding Peaks and Glaciers. The views are even more spectacular than from Everest Base Camp. Then we descend to the Gorakshep, and trek down to Pheriche. O/N at Lodge. 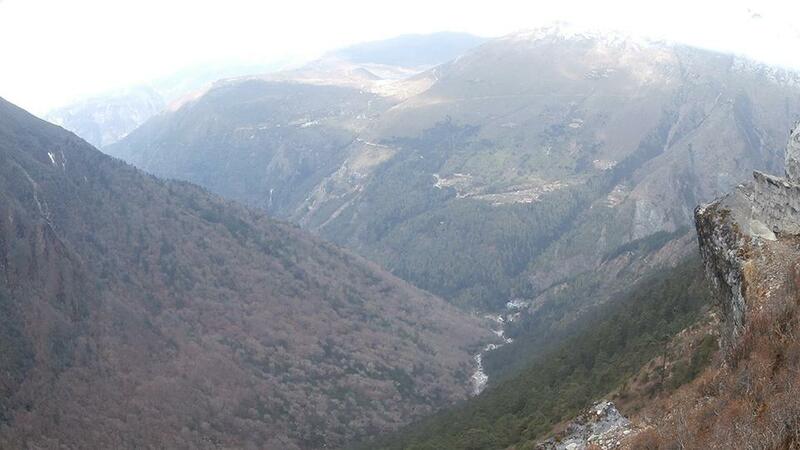 After breakfast, we descend to Imja Khola and continue our walk towards the Namche Bazaar. Heading through the rhododendron and juniper forest, we reach Sansa. and continue back to Namche Bazaar. O/N at Lodge. After breakfast, we slowly trek down through the side of Namche Bazaar and follow a steep path down to the Phakding. We the leave the Khumbu region and the Sagarmatha National Park. After about three hours walk over the Dudh Koshi River, we arrive at Lukla. O/N at Lodge. In the early morning, we fly to Kathmandu from Lukla. A final view of the Everest vista before descending. Arrive at the airport and transfer to the hotel. O/N at Hotel. 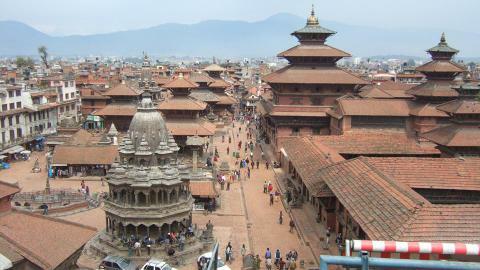 Kathmandu –Lukla –Kathmandu flight tickets. TIMS and Sagarmatha National Park entry permit. Tips for your guide, porter and driver. The rest of expenses which are not mentioned our price includes.